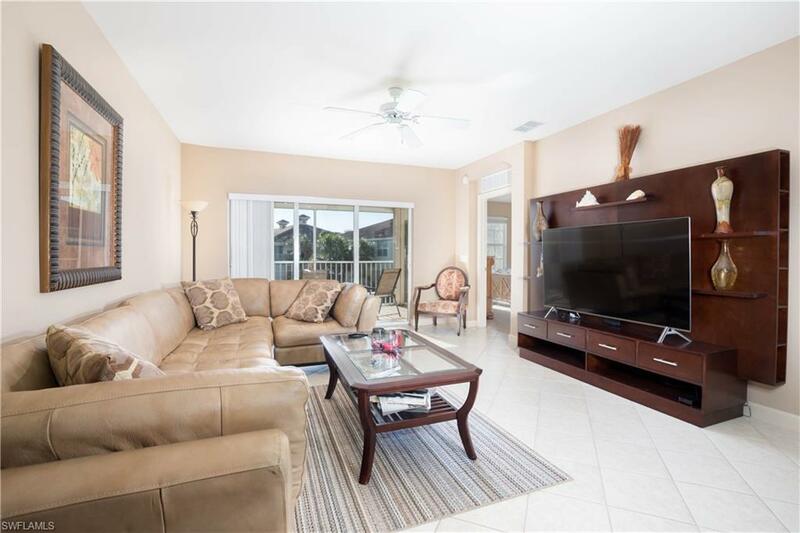 Drastically Reduced - Spectacular long water views from this preferred end unit with an open floor plan, eat in kitchen, 3 spacious bedroom. 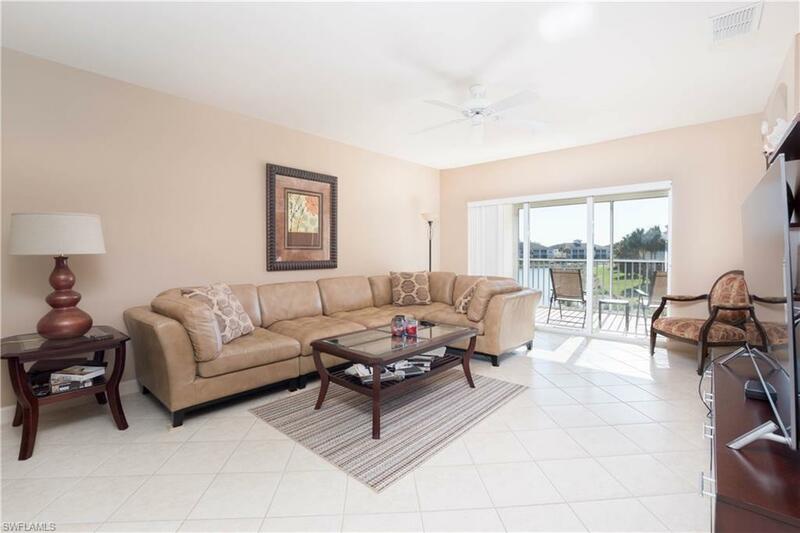 There is a beautiful lanai Unit offers newer AC, Refrigerator and Microwave. This unit has a complete set of storm shutters. There is a 1 car detached garage. 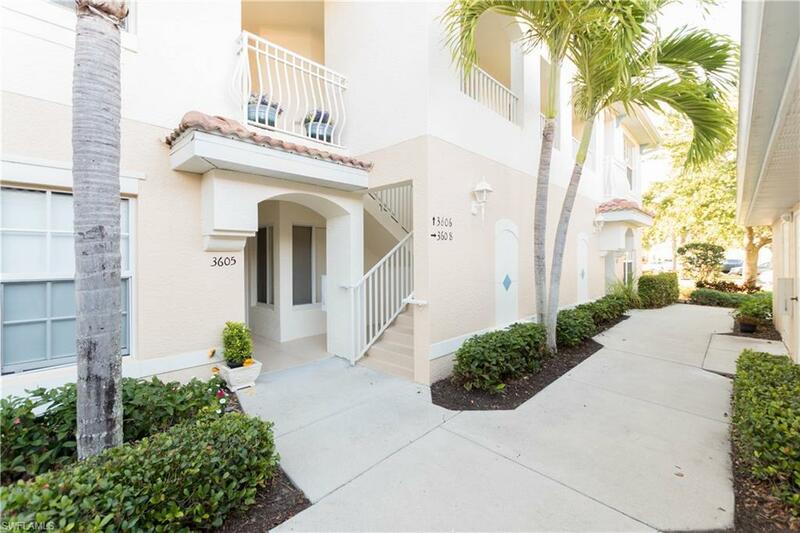 This community is in the perfect location with GREAT schools, close to the Beach, Naples world class shopping, resort style pool, PLUS, a lap pool, children play area, tennis courts, basket ball courts and extra parking for your boat or RV. 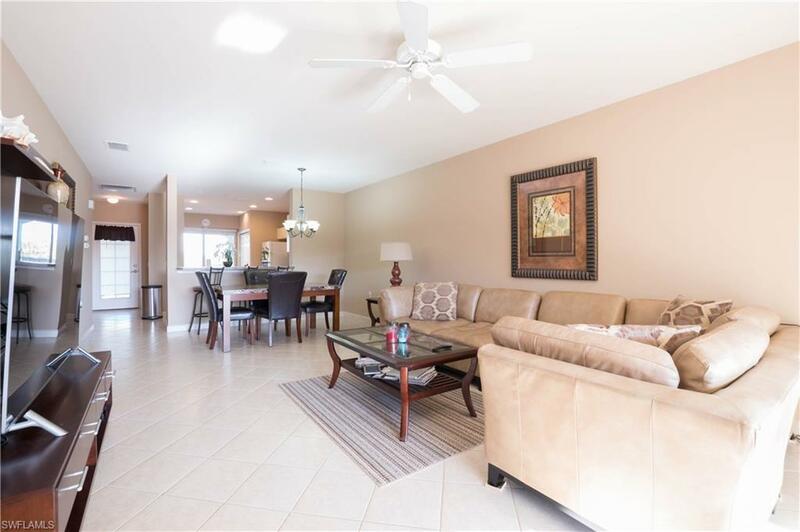 Have it all in one location.